In the last few months, I've been focussing on cleaning up my diet. Rather than stuffing my face with my usual favourites of bread, pasta and sweet treats, I've been making a real effort to eat more fruit, veg, and healthy grains, in the hope of giving myself a boost. 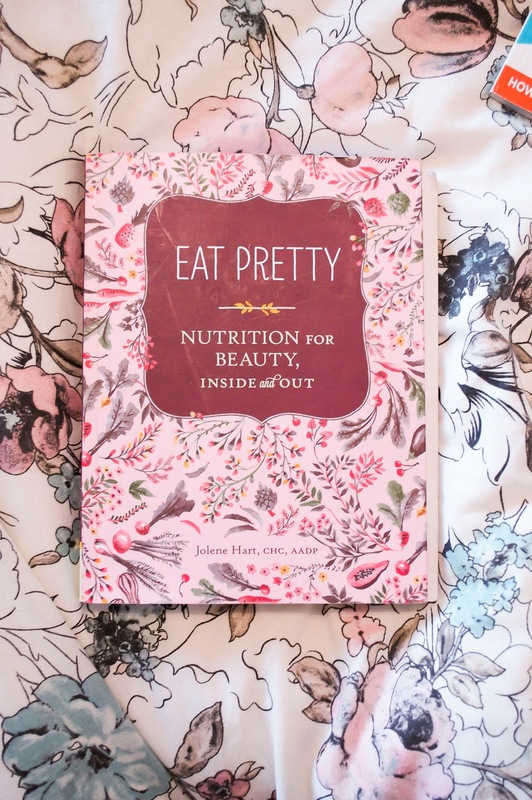 So when I spotted Jolene Hart's book, Eat Pretty, in one of my favourite shops a few weeks ago, I had to pick up a copy. 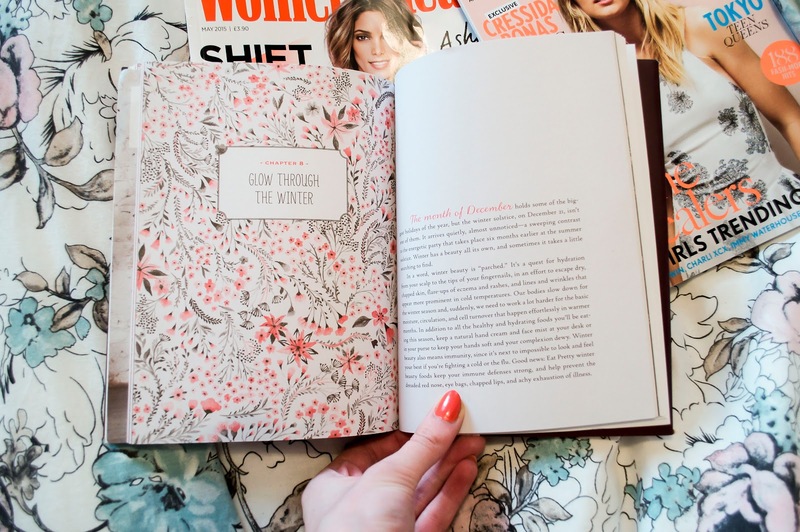 The premise of the book is that eating healthy food will make you beautiful. As you can imagine, this makes the idea of munching on a salad far more appealing than having your parents force you to eat your greens at the dinner table when you were ten years old. 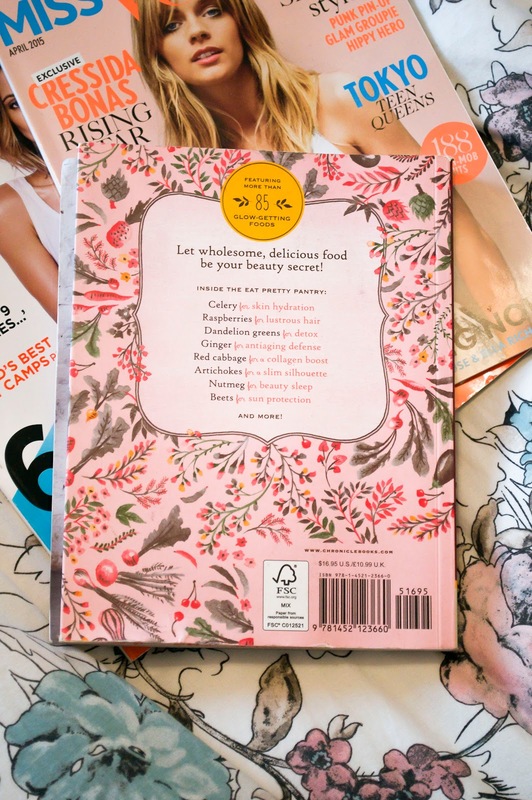 Hart - who is a former beauty editor for InStyle, People and Alure - goes through each of the seasons, explaining in detail which foods are best to eat throughout the year and how they work to make you pretty. She also explains exactly what processed foods, which she calls "beauty betrayers," to do harm your beauty. Call me vain, but knowing that eating radishes will give you "glowing skin" and "gorgeous nails" makes them a lot more tempting. And not only this, but Hart also covers the topics of sleeping, breathing and exercising and how each of these, when done right, will give you a boost. I have stacks and stacks of books about health, nutrition and fitness in my bedroom, but this is one of my personal favourites. I plan to revisit it throughout the seasons to find out which the best foods are to eat and when to really reap the benefits that good food can give you. 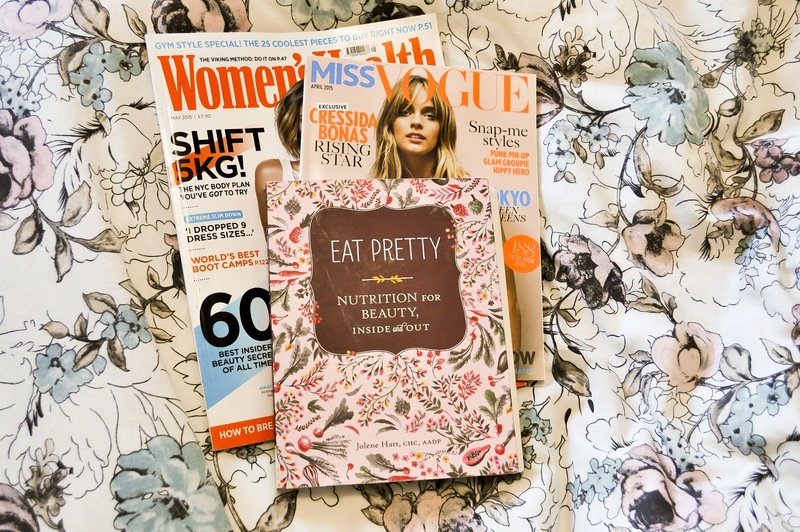 I'd recommend Eat Pretty to anyone who wants motivation to eat well, or anyone hoping to boost their knowledge of nutrition. I have a feeling it's going to be my bible from now on! I hope the book makes you feel inspired to eat well, too. Let me know what you think!